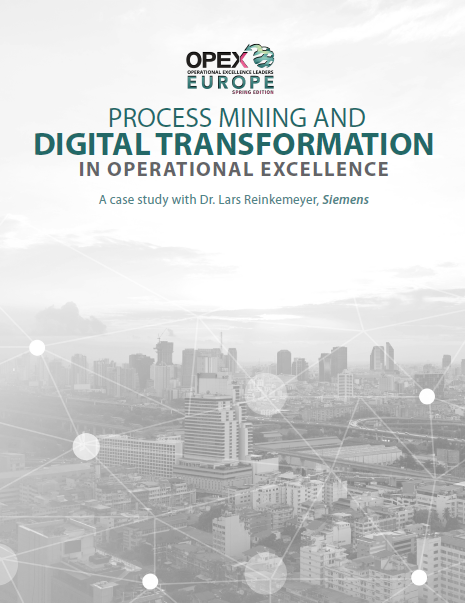 Dr. Lars Reinkemeyer gives us an insight into how Process Mining is helping Siemens achieve operational excellence. Established in 2014, the tool has accounted for millions of process savings at the company and is now aiding the implementation of further technologies to take operational excellence to the next level. Through an insight into Siemens, learn how Process Mining can help your company move one step closer to operational excellence.